Nigel Adkins has reacted coolly to claims that he is in contention to become Leeds United’s next head coach, saying the rumours “haven’t come out of my mouth” and praising the performance of existing boss Neil Redfearn. Adkins, the former Southampton and Reading manager, is among the coaches who Leeds will consider for the post at Elland Road if they decide not to extend Redfearn’s contract beyond the end of next month. 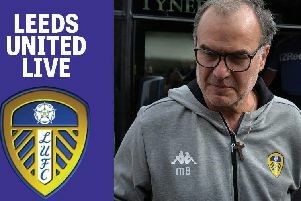 Redfearn’s future is up in the air and owner Massimo Cellino has made no move to confirm whether he will take up an option to renew his deal as head coach for another 12 months. The confusion surrounding Redfearn’s job has prompted a wave of speculation about potential replacements for him. His contract is due to expire on June 30. The agent of Burton Albion boss Jimmy Floyd Hasselbaink told the YEP last month that Leeds had expressed an interest in the Dutchman, and Brentford’s Mark Warburton - himself out of contract this summer and set to leave Griffin Park - is another name on Cellino’s radar. But United are understood to have been in recent contact with Adkins, who has been out of work since parting company with Reading last December. It appears increasingly likely that Cellino will look to secure a replacement for Redfearn ahead of the new Championship season. The pair have not spoken since United’s owner returned from his Football League ban last week.